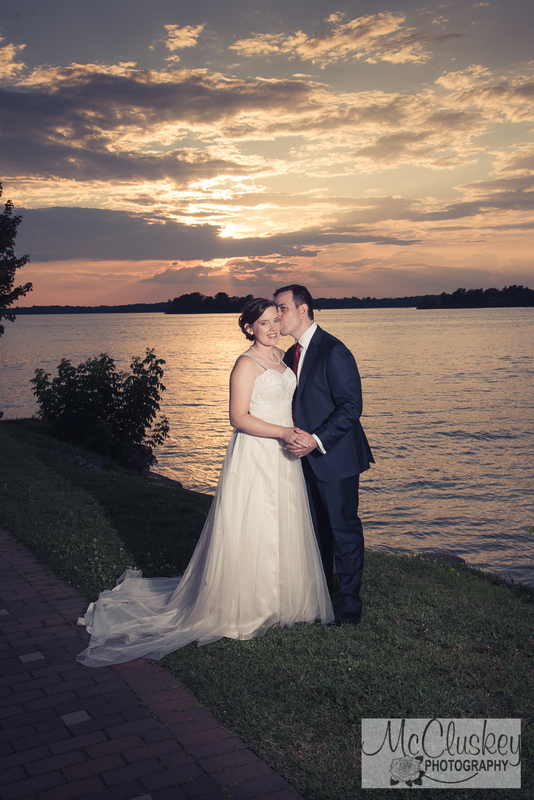 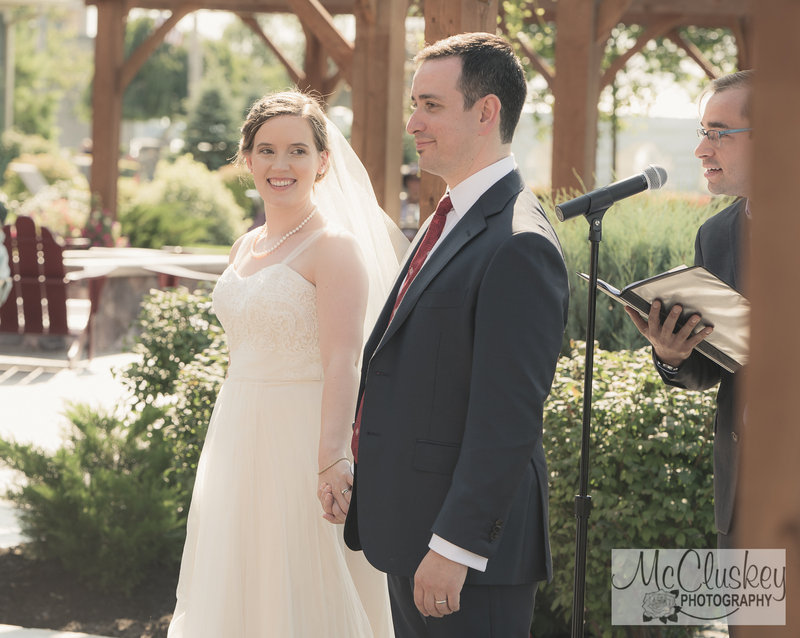 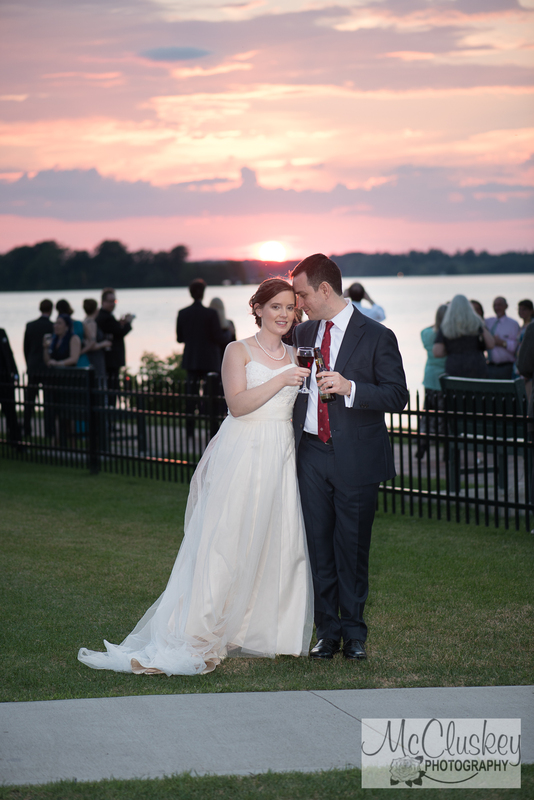 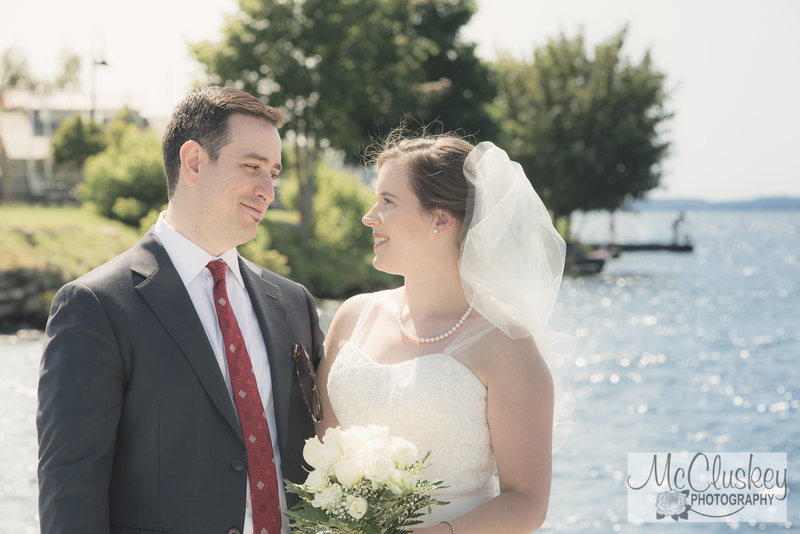 I was so excited to be the photographer for Nikola and Sarah's wedding in the lovely 1000 Islands. 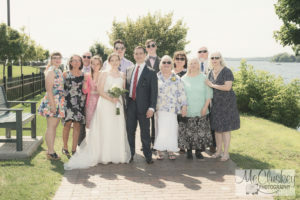 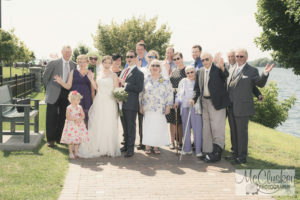 Family and friends of Nikola and Sarah came from all over the country, and even from as far away as China, to the beautiful 1000 Islands Harbor Hotel for their wedding. 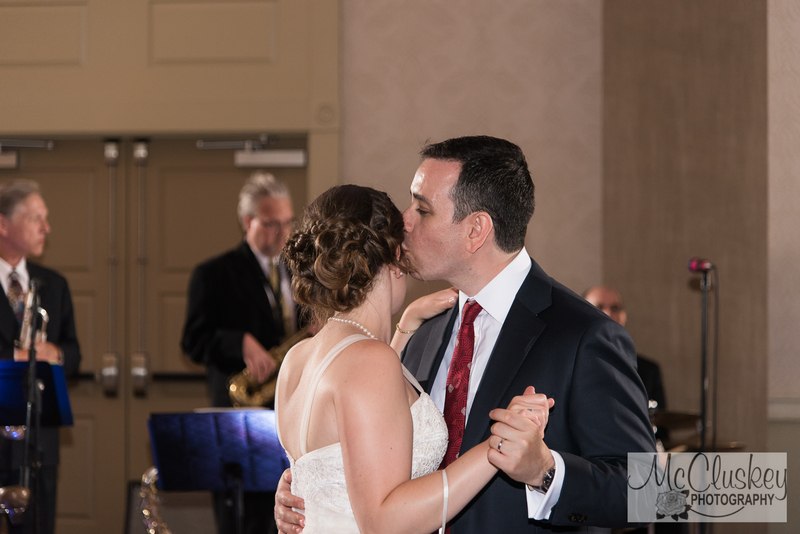 And it was definitely worth the trip! 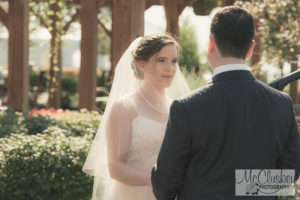 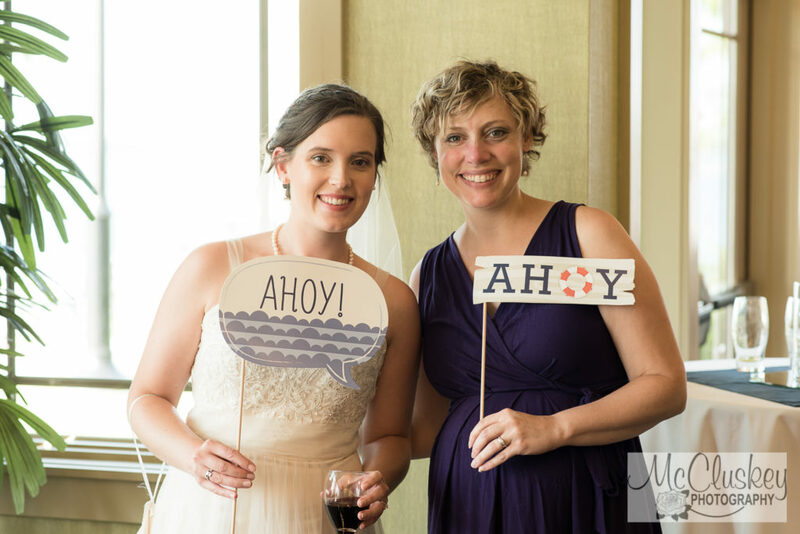 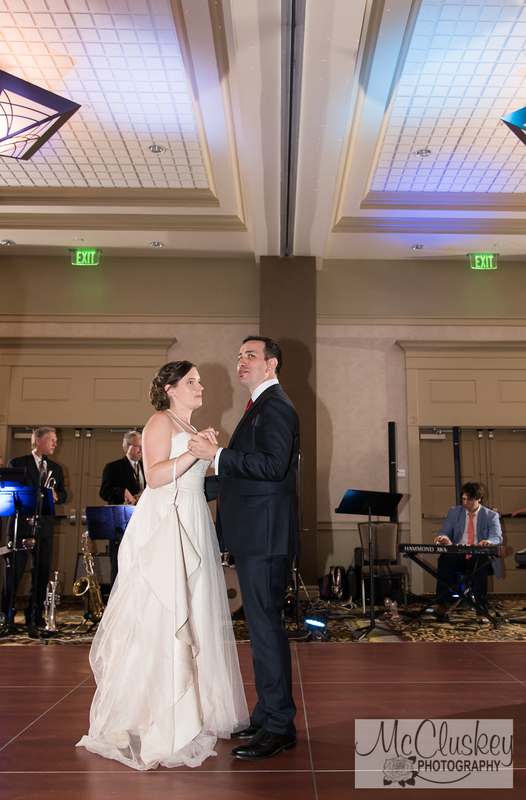 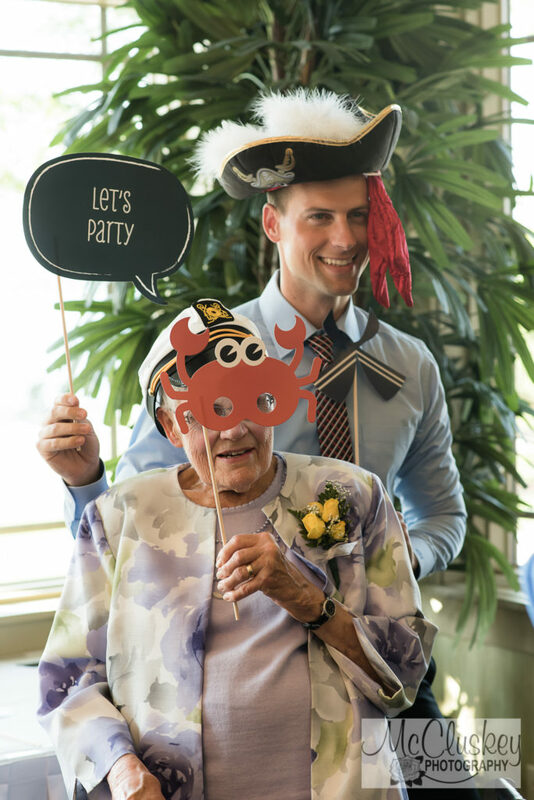 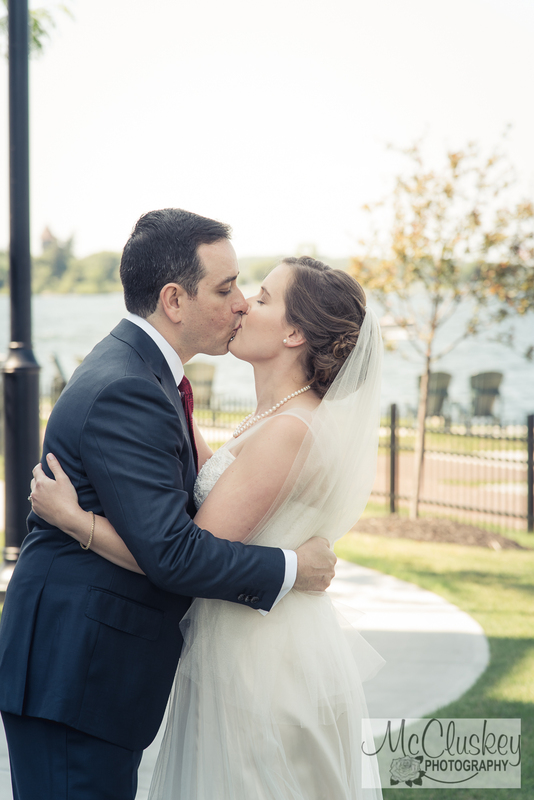 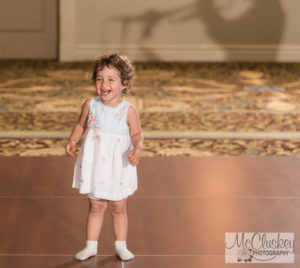 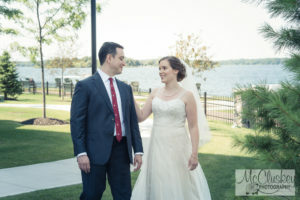 Sarah had grown up visiting the River in the summers and wanted to share its beauty with everyone else in a fun, casual, jazz-filled wedding celebration. 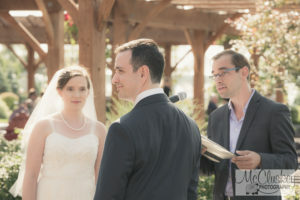 They were rewarded by a day filled with abundant sunshine, music, and love. 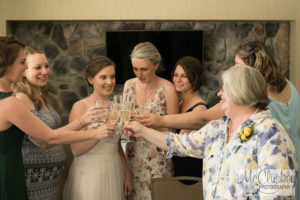 Sarah and her friends got together for some champagne before the ceremony. 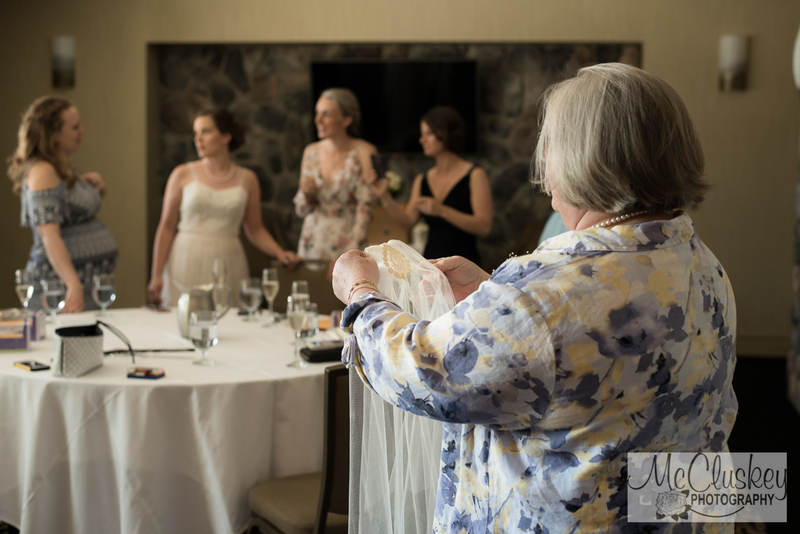 Sarah had an antique piece of handmade lace as part of her veil. 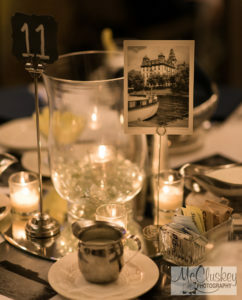 I thought it was beautiful with such great detail. 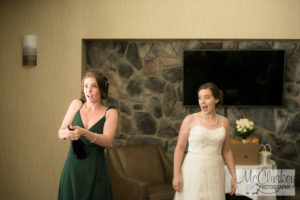 It must have taken so much time to create. 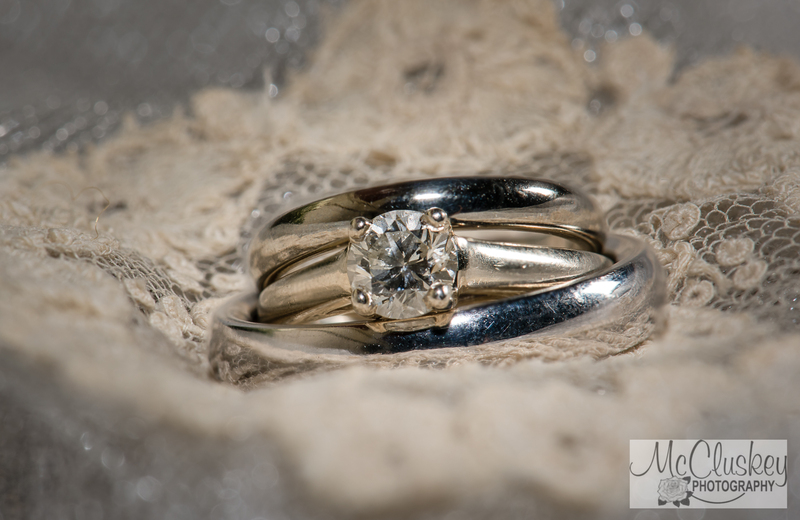 You'll see it again later in the gallery since it was a perfect backdrop for their wedding rings. 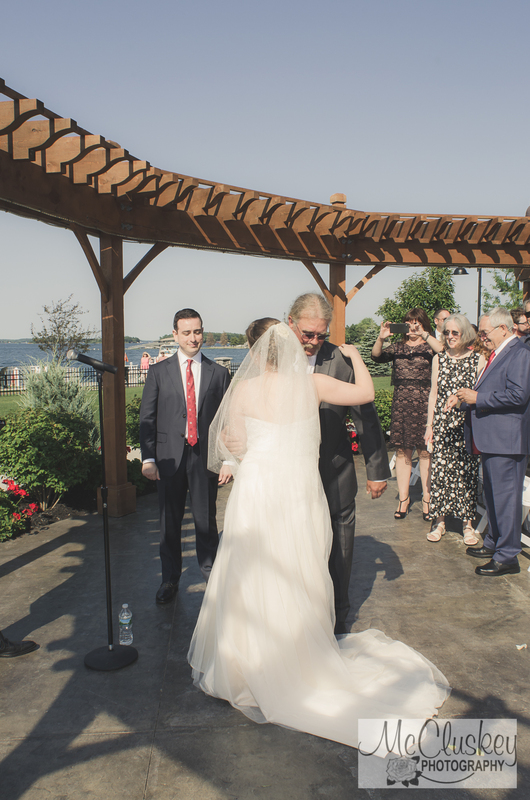 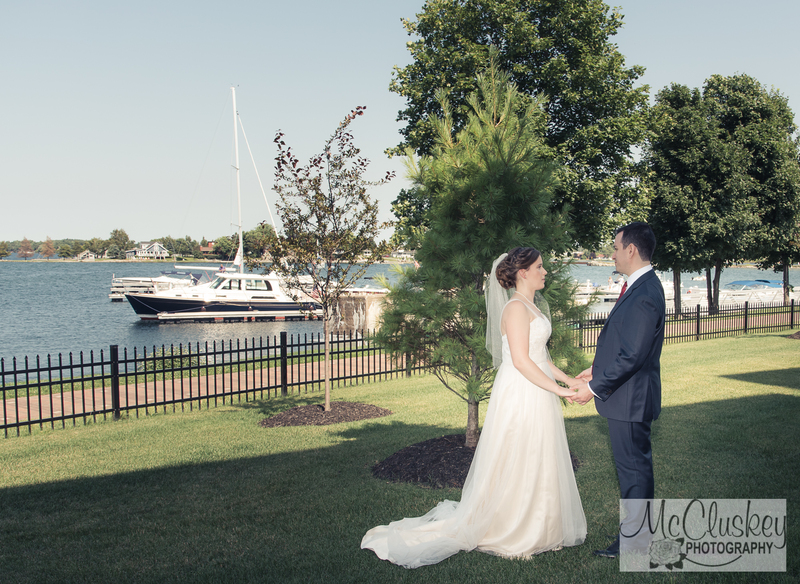 Sarah and Nikola had chosen to do a first look, so I met up with him and we went outside by the water for them to spend a little quiet time together before the ceremony. 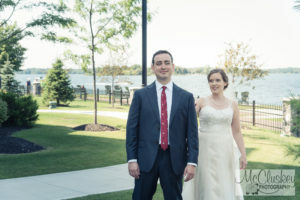 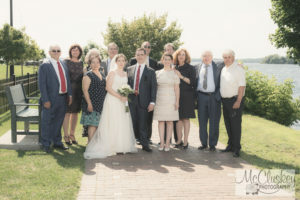 After the first look, we met up with their family for a few formal photographs out by the Seaway and then headed over to the docks with just the two of them. 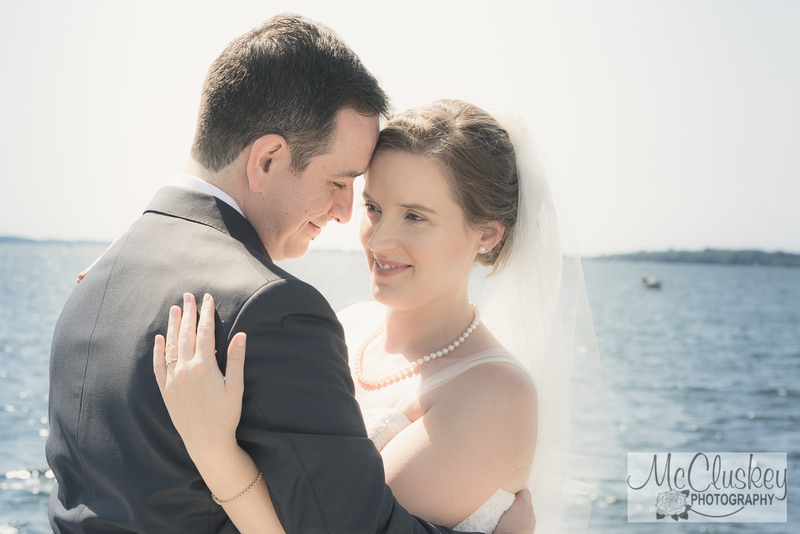 The River today in Clayton was a beautiful blue with sparkles of sunlight flickering on the waves. 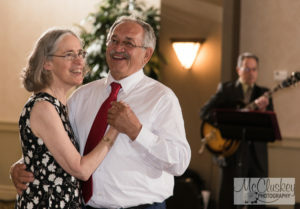 Then we all headed indoors for a little wine, great food, excellent music, and just a bit of fun. 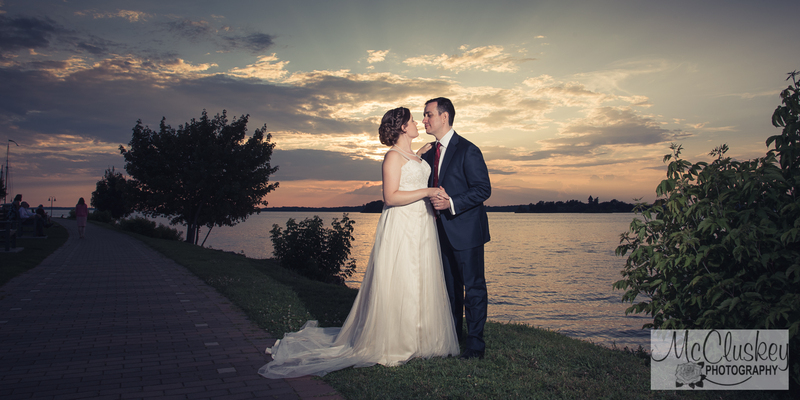 The day ended with a sky full of colors as we got the last few photographs in before the night.